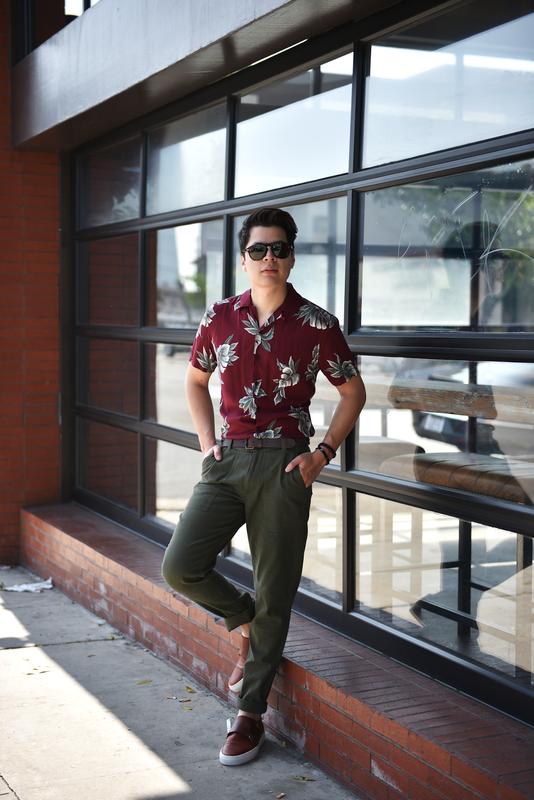 Accessories, such as bracelets, and belts are the pieces that help your outfits stand out. The same can be said about your wallet. Once you reach for the bill your wallet becomes a conversation piece. 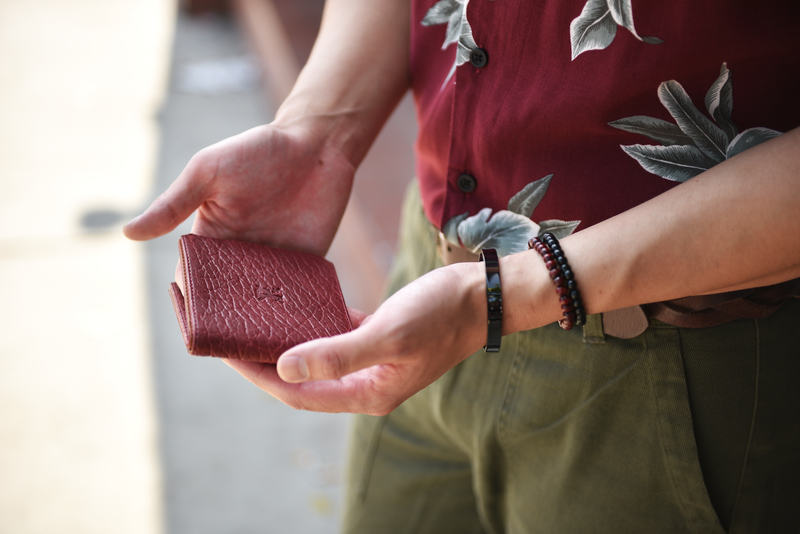 I got my hands on this 6 card wallet from Parabellum, and I can honestly say that I am impressed with its high-quality materials and attention to detail. 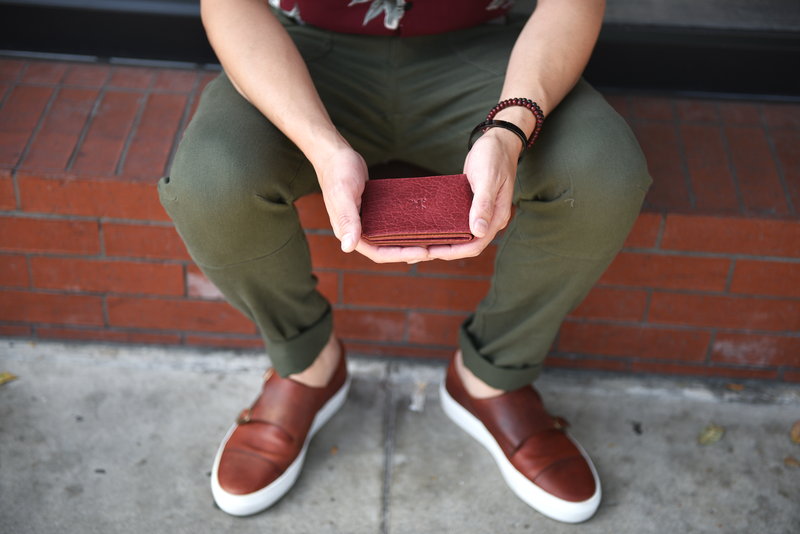 The wallet comes in a variety of colors; I personally chose this rich burgundy wallet since the color goes great with just about any outfit. Parabellum is a Los Angeles-based leather goods company that produces all its goods such as wallets, bags, cases, and belts in North America. 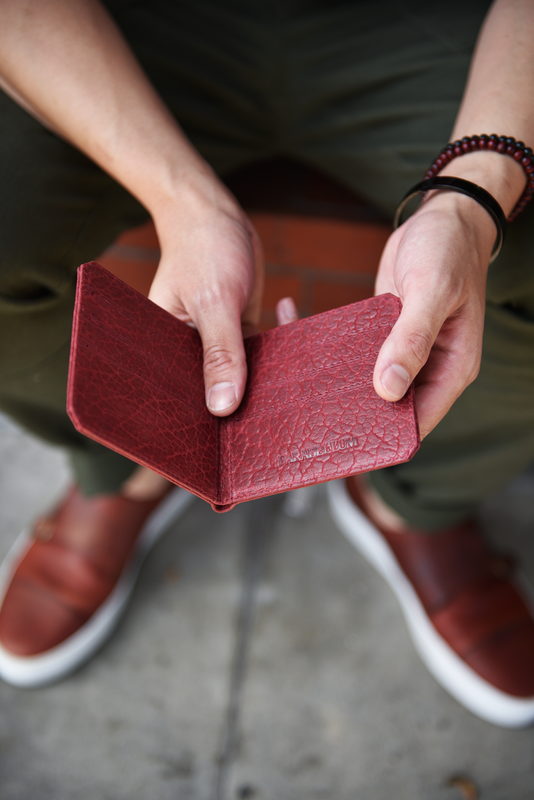 One of the brand's main characteristics includes their use of free range American Bison Leather, so you know that every product will be made of the best leather out in the market. Ah, l should not forget to mention that a portion of their proceeds are donated to the American Prairie Reserve, #winning! Make sure to check out Parabellum's full line of products by clicking here, and use code "BOARDWALK" to receive free monogram on any purchase! Awesome wallet! And I love the fact that it goes well with your outfit, haha! I am so in love with your blog! The wallet and the outfit look so cool!